​Let's talk about landing pages. More specifically let's talk about​ landing page builders. ​Landing pages are a great way to increase conversions and create unique experiences on your site. ​A landing page is pretty much any sort of ​destination page, where you're sending (most often times, paid) traffic in hopes of taking a specific action such as signing up for an email list or buying a product. ​So... What is a Landing Page? A landing page is a page on your website that people ‘land’ on, sometimes referred to as a ‘destination page’. But when it comes to internet marketing, a landing page is a page where we are sending (usually, paid) traffic to. So, say you’re running an ad on Facebook or Pinterest. Now the page, or set of pages, you’re sending people to is your landing page because that is where your traffic is landing. In short, a good landing page will be simple and built for a specific purpose. Before you can even start thinking about creating your landing page, you need to know its objective and what you want to achieve. Landing pages serve all different sorts of purposes. For example, you might have a landing page that is built to collect leads using a form. So you’re asking for a name, email address, phone, and so on right there on the page. Another type of landing page would be for sales. In that case, you’re sending people to a page with the goal of having them add an item to their cart and buy it, right there on the spot. There are other types of landing pages where you might need to collect applications or have forms for business and wholesale inquiries. That’s a very specific need for a page. Take a look at these three different landing pages. As you can start to see, there are all different sorts of landing pages. It’s an umbrella term that can mean many things in all sorts of industries. Now, when you’re building all these different landing pages, the key thing to keep in mind is to keep them simple– don’t build and cram everything into one page. The reason you’re building these landing pages is to send targeted traffic exactly where it should be going. Meaning you want to create a unique experience that is simple and gets right to the point. When you’re spending money on ads and page traffic coming to a landing page, you want it to have the best chance for success. 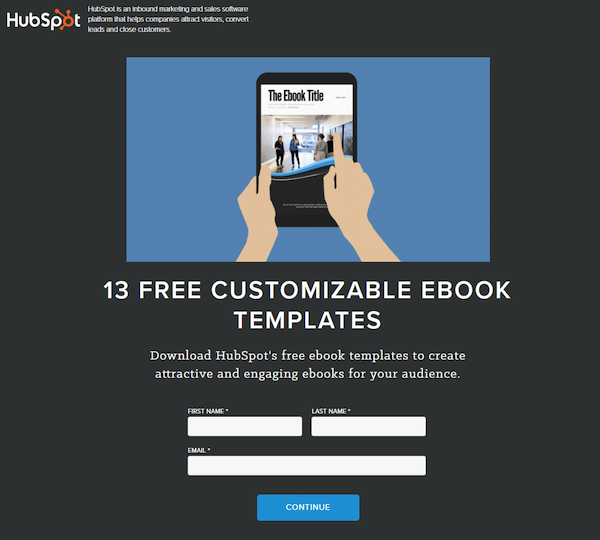 A simple landing page with a clear call-to-action and without distractions is going to have the best chance on converting visitors into leads, sales, or whatever you’re hoping for. Okay, now that we know what makes a landing page good, let’s talk about how to create a landing page. And to do that, you have a few options. First, if you’re not selling on Shopify, and if you never plan to sell on Shopify, then I recommend you use a tool called ClickFunnels. ClickFunnels is a great piece of software but I do not recommend it for the type of eCommerce stores that we build for drop shipping. If you want to see why, check out this blog post that details ClickFunnels vs. Shopify. The first thing I recommend for most people, is to create a landing page using the Shopify theme they already have. One of the great things about Shopify is, of course, they have a huge theme store. If you’ve ever used WordPress, it’s similar to that. On Shopify, you can go online and look for Shopify-specific themes. You can pretty much find one that would suit any type of eCommerce store you want to build. 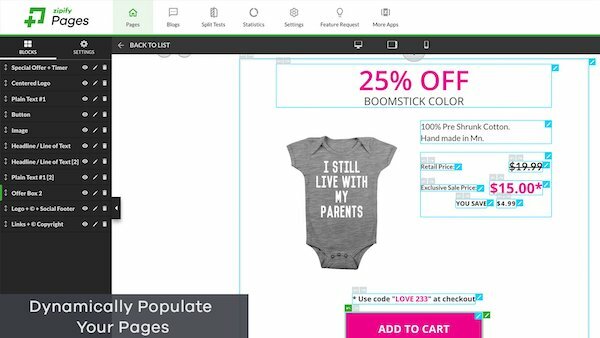 Once you have settled on a theme, you’ll be able to build pages within your store. If you’re hoping to get super technical with plenty of specialized components such as countdowns, menus, pop ups and so on, then things will start to get a bit tricky. You can certainly do all that and nearly anything you can dream of in your Shopify store, but it would require a knowledge of coding. For a lot of those specialized and technical edits you have to go into the back-end of Shopify and edit some code without breaking anything in the process. It’s definitely doable, but it’s something that’s not for anybody brand new to building landing pages and Shopify stores. As time goes on, you’ll start to pick up on a bit of coding and how customization works within Shopify. For beginners though, I don’t recommend spending time in the beginning messing with code. With that being said, it’s not all that complicated if you want to use your default Shopify theme or one that you purchase, to build a landing page for lead generation. Pretty much anybody could figure that out and you don't need an additional piece of software. Keep in mind that as complexity goes up, technical know how goes up as well. 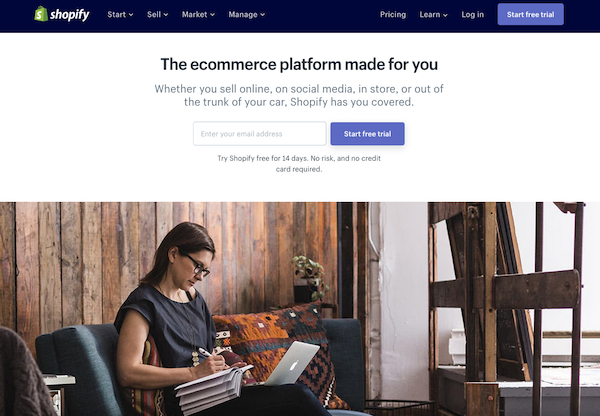 When it comes to creating a landing page on Shopify, you have other options if you don’t want to use your theme, work with code, or pay someone else to do it. The tools that will do this for you are called drag and drop builders. Important to note, when you're comparing Shopify themes with Shopify drag and drop landing page builder apps– is it's not one or the other. On Shopify you have themes and then you have apps. That means, if you have a Shopify theme and you start using a drag and drop page builder, it gets installed as an Shopify app. You’ll keep your theme and your site can look the same, but then you install your drag and drop app and with that you can make new pages. These landing page builder apps will not change the way your entire store works or overwrite everything you’ve already done. No worries there. What these apps do is allow you to create unique landing pages that will be highly customized. To recap: Themes change your entire site. Page builder apps are used on a page-by-page basis. You need to know exactly what you want to create. You can end up with a store ​that has no consistent design. If you go ahead and use one these landing page builders, you need to have an eye for design or have the person using it have an eye for design. As a reminder, it's not linked to your Shopify theme. So your typography, color scheme, and design work that's been put in to your store by your theme, isn’t transferred over to the app by default. Keep that in mind. Again, you need to either have some design knowledge or have the person using it, have some design knowledge. Now when it comes to the tools that are available, there’s pretty much three of them that people are using. I'm only going to talk about two of them because they're the ones that have the best reviews and the ones that we've used ourselves. Tip: If you’re going to be using one of these tools for building landing pages, you should go with a paid one. Free software very rarely works and is never supported. Good software costs money for a reason. Zipify Pages is a landing page builder from Smart Marketer’s Ezra Firestone. It was released a few years ago and has become widely popular. The landing page builder does cost a pretty penny, $67 a month to be exact, but there is good news. If you want to check it out, then they have a 14-day trial to see if it’s right for you. I am not an affiliate, but here’s a link for you to see the details and sign up. ​​​​​Now the good thing about Ezra's tool is he includes templates that he uses on his Shopify stores. ​If you didn’t know, this guy has a couple of different stores that do over eight figures in sales. So yea, he definitely knows what he's doing and definitely has designs that work. Doesn’t mean they’re going to do the same for your store overnight, but they’re an awesome starting point to making a successful landing page. And again, there’s a 14 day free trial so give it a shot and see if it makes sense for you or not. The other landing page builder I use and recommend is Shogun. Similar to Zipify, based on reviews and what I’ve seen, Shogun is the more popular option. Shogun is also a bit cheaper at $39 a month and comes with a free trial. So that’s why if you’re like me and have no design ability, I recommend not even using these tools. They’re not really going to make that big of a difference if you don’t know how to design a landing page. And that’s the reason why I like Zipify a bit better. Ezra gives you his templates and I know he has a ton of people on his supporting that product with both customer support and development. When Should You Use a Drag and Drop Landing Page Builder App? 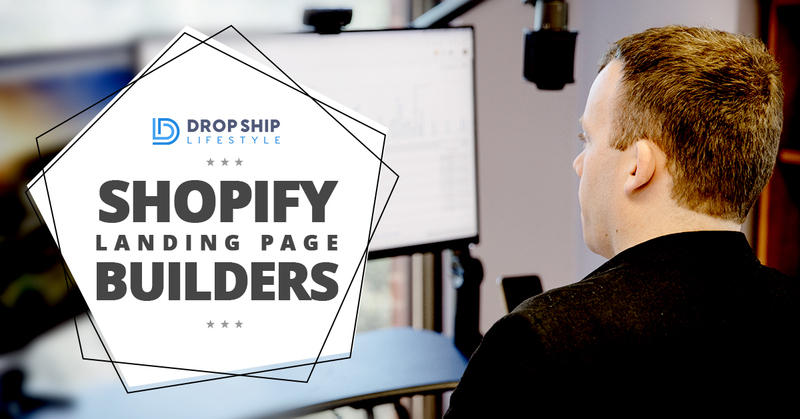 When you are just starting out and just getting your drop shipping store off the ground, you don’t need to be paying money on landing page builders. That’s just a ridiculous cost to spend at that point. And don’t worry, because at that point you’re not really ready for something like that. It’s not worth the money or the time to worry about until you have a page that’s generating you a lot of money. If you’re thinking those prices are ridiculous, that’s totally fine. It’s because you’re just not there yet. 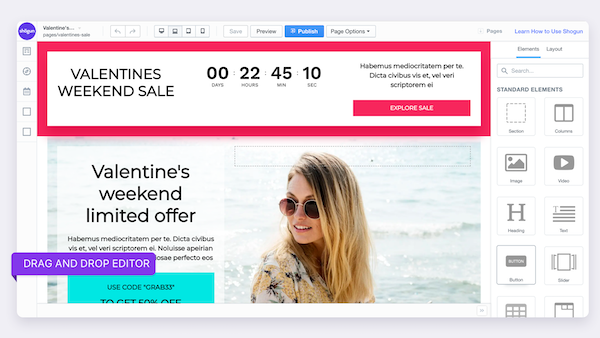 In fact, even if you are there, where the prices don't seem bad, you still might not need one of these drag and drop landing page builders. With most Shopify themes, you can do a lot of customization to pages. You can create what Zipify and Shogun will do for you. It’s just going to take more technical know how, or you might have to outsource to someone Outwork. 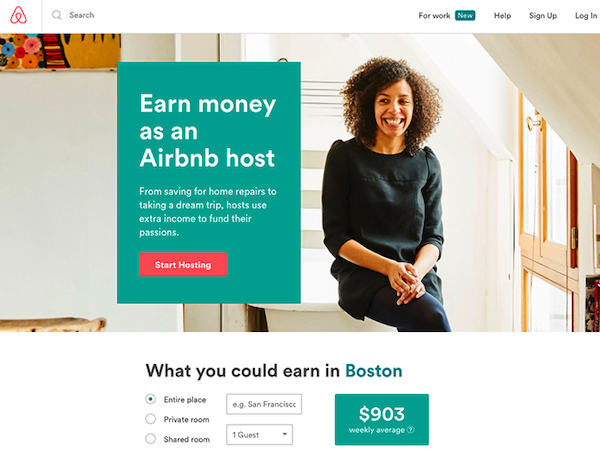 Because if you don’t have the design skills and your site is brand new, then these landing page tools will probably hurt you more than they will help you. Drag and drop landing page builder apps are in no way necessary. 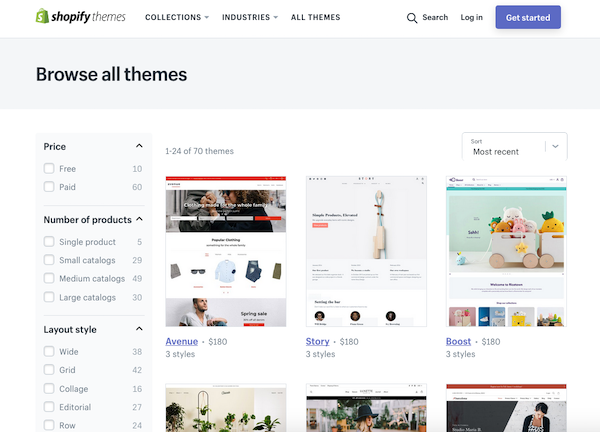 The Shopify theme store has plenty of amazing themes that are gorgeous, fast, and look good across all pages. This will help you keep a consistent flow across your eCommerce website. You're already generating a ton of sales in profit. You have clear objectives of what you want these landing pages to do. You don't want to build them yourself or outsource it within your theme. And you're not afraid to actually get in there and do the work. Let me know your thoughts about Shopify landing pages in the comments. Love to hear it! Hi Anton, happy to go through your material. You seem really legit and a good guy. I’m saving money and probably buying your program in the next few months. I’m happy to hear that, Joaquín. Looking forward to working together! Happy to hear that, Rosin! You can learn more about my coaching program here. Or, if you’d prefer to have my team build your store for you, you can apply for our done for you program here.